Below, you will find information about Preston Mastery Campus and personalized learning. If you (or your student) would like to be a part of mastery campus, please complete the form from the link below. If you have further questions, please contact Mr. Gee (marc.gee@psd201.org) or Ms. Elison-Chang (pandi.elison@psd201.org). There's a lot about personalized learning that is, well, personalized to each school that implements it. 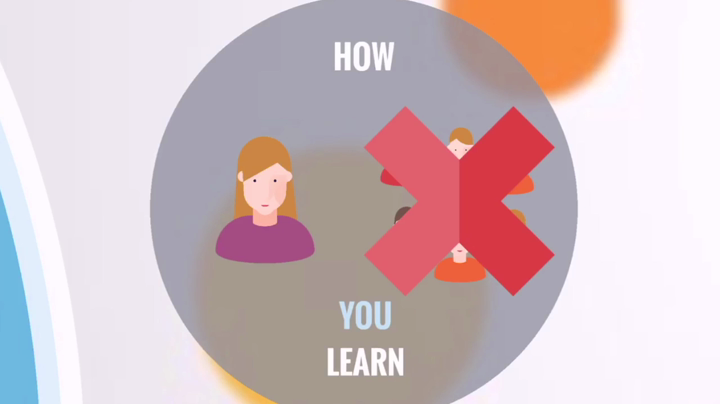 This video gives you an overview of personalized learning, the basics of what we hope to do with it, and will hopefully answer the basic questions you have. This page will be updated as we go through the process to include the most up-to-date information possible. Click on this video to learn more. ​Instruction tailored to the individual What Is Personalized Learning? Preston School District is incorporating a personalized learning program where you can take core classes in a mastery based environment, work at a flexible pace, work closely with teachers to plan your individual path, and be able to move forward at the speed of your own mastery. For the 2019-2020 School Year we will be allowing Freshman, Sophomores, and Juniors to take part. ​If you know anything about personalized learning, it's probably from a school making a run at implementing it. That's helpful and a bit confusing at the same time. Personalized learning really just means getting to know the individual student, delivering instruction to them in a way that best positions them to actually learn, and where the student owns their own learning. Core subject teachers selected are Pandi Elison-Chang (program administrator, Social Studies), Kimble Smith (Mathematics), Julie Tueller (English), and Brent Miller (Science). Teachers will be the team mentoring and instructing students within the program. They are working diligently to develop the structure of this program to ensure success this fall. So What Does This Actually Look Like? Personalized learning can be done in as many ways as there are individual students. We've visited a number of schools, including schools like Rocky Mountain Middle School in Idaho Falls, and much of what we hope to accomplish has roots there. That said, Preston isn't those places, and we'll be doing some things differently. We'll put the questions that everyone asks right here. For questions that are specific to your role in our schools, use the buttons at the top of the page to access the relevant information. We realize that while what we do works well for most students, there are still some who could be better reached through alternative methods. Students come from different places, are in different places, and are going different places. Added to that, the resources available in terms of technology and educational research are constantly changing. This allows us to leverage those resources to better meet the needs of an ever-changing student population headed into an evolving world. Does This Replace the Teacher? Quite the opposite, actually. The teacher still designs and modifies the curriculum, monitors student progress, teaches in person to entire classes, small groups and individual students, and does the grading. In addition, they mentor a group of students. The role shifts more to curriculum design and mentoring than in the past, but definitely doesn't replace the core aspects of the teacher's job in teaching with students. Basically, it's a blend of digital and in-person instruction. That means that sometimes the teacher will meet with students in small groups or one-on-one, other times will be in large groups, and other times will be the student working through digital curriculum individually. There will be an expectation of teachers that they offer regular opportunities for in-person instruction. Do Students Still Have to Come to School? Yep. Much of personalization happens, well, in person. Students will still come to school for the same amount of time. The upside, however, is that they will have more flexibility about where they go while they are here, and even when they arrive and leave - as long as they are still putting the time in. Is This More Work? Less Work? Neither. Really, it's just a different format for the work. A more accurate way of putting it would be that it's work at your level, that you can work on in different settings than before. The standards are the same, much of the curriculum will be the same, and the requirements for graduation and mastery will still be the same. Again, all that really changes is that we personalize how you learn it.